This entry was posted in News on January 27, 2019 .
one of its municipal councillors. Blair George, a councillor for more than 30 years died suddenly. 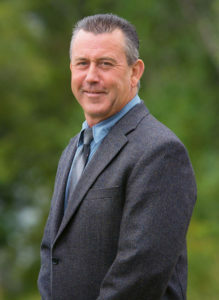 In a release, the District of Guysborough says George, who represented District 4 was a key part of the team that helped Guysborough transform itself from a small rural Municipality though to a vibrant one. He was a strong supporter of the offshore oil and gas industry, fishing and forestry, and renewable energy such as Sable Wind. The municipality says George was also strong advocate for his District and made decisions in the best interest of the municipality. George also served the community in other ways including the board of the Milford Haven Home for Special Care, the Chedabucto Volunteer Fire Department, past Treasurer for St. James Anglican Church, Halfway Cove, and a volunteer for the Canso and Area Minor Hockey Association.